Witness magic on a scale unlike anything you've ever seen before. 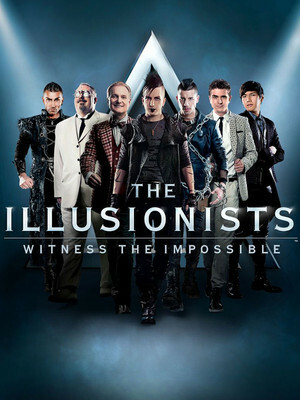 Led by The Anti-Conjurer, The Illusionists are a troupe of magicians who bring the art of illusion right up to date with their high-tech wizardry and death defying stunts. 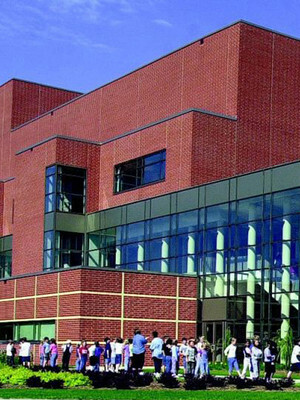 Opened in 2000, this $23m arts complex resides on the University of North Iowa's campus and provides a wide range of quality entertainment for the area. Funded by residents Cedar Valley residents Ed and Cathy Gallagher and Carl and Peggy Bluedorn, the state and over 1,400 donors throughout Iowa, it was the first major arts center to open for over 20 years. Please note: The term Gallagher Bluedorn Performing Arts Center as well as all associated graphics, logos, and/or other trademarks, tradenames or copyrights are the property of the Gallagher Bluedorn Performing Arts Center and are used herein for factual descriptive purposes only. We are in no way associated with or authorized by the Gallagher Bluedorn Performing Arts Center and neither that entity nor any of its affiliates have licensed or endorsed us to sell tickets, goods and or services in conjunction with their events.